Terry Franks, Leader, Mentor, Coach. Here is a testimony of how the Mental Fitness Challenge has made a difference in this young man’s life. I am so proud of Brad doing the right thing, at the right time, for the right reason! I just wanted to let you know the other day I had a great opportunity to demonstrate character, I was collecting the money for a bill with this new kid who’s 18 and the lady gave me $40 more, I told her she over paid and gave her the extra money, then as we were walking out to the van the new kid told me we could have had free lunch money! I told him my character is worth way more then $40. I told him if you’re willing to steal a little it gets easier to take a lot. I feel like the mental fitness challenge is helping me because in my past I would have probably taken the money thinking it was their fault for not counting right. Hopefully I made a difference in his life! Brad. The more I study it the more I am amazed and proud of what Claude Hamilton, Orrin Woodward, Chris Brady, and the rest of the Policy Council have put together with the LIFE Compensation Plan. Set aside the personal growth and the complete life changing information in the other 7 F’s Faith, Freedom, Family, Fitness, Fun, Following, Friends. Let talk the Finance F that everyone wants to know up front with a business. I would put this plan up against anything I have seen in my 30 years in this industry. I challenge anyone to find a business that first has a 1pv to 1bv, at worst 1pv to 1.4bv ratio, which is 1 dollar spent to 1 dollar volume of credit. Second, a scale that starts at 5% and climbs to 50%! Let’s sweeten the pot a little more. How about we add more in bonuses for going out and helping your people get to the top of that chart, for total payout of right at 70%. But wait….there’s more. When your new person gets started lets also give them a chance to earn some, world class, expense paid trips. Orrin Woodward is a Whistleblower when it comes to calling out the companies that want to line the pocket of the company not the sales force that builds the business. As Orrin and Chris have said, “The LIFE Company was not designed to make a lot of money but to PAY OUT a lot of money”. Below is the Bonus Chart, Depth Bonus, and Trip Incentives, have a look, absorb, and let your brain wrap around those numbers. Disney World, Orlando, Florida – 4-day/3-night stay at Disney’s Beach Club Deluxe Resort. Disney’s Beach Club Resort is a New England-style Disney Deluxe Resort, shaded by broad oak trees and lapped by the gentle waters of the 25-acre Crescent Lake. This trip includes a round-trip airfare credit, Disney Park Hopper Passes, Disney dining meal plan, transportation to and from the airport, and transportation to all Disney properties and theme parks. Arenal, Costa Rica – 6-day/5-night stay at the Arenal Springs Resort & Spa hotel. Perched one thousand feet above the Arenal Valley, the Arenal Springs allows for incomparable views of the Arenal volcano, the lush valley, and the surrounding towns that sparkle at night. This trip includes an airfare credit, daily breakfast, canopy tour, volcano hike, and safari boat floating. Oasis of the Seas, Bahamas Cruise – 8-day/7-night balcony cabin cruise. Experience the ship that revolutionized cruising; its revolutionary and breath-taking design includes seven distinct neighborhoods tailored to create the ultimate experience of enjoyment for all passengers. Disney World, Orlando, Florida – 6-day/5-night stay at Disney’s Grand Floridian Deluxe Hotel. Disney’s Grand Floridian Resort & Spa is a Victorian-style Disney Deluxe Resort distinguished as the flagship hotel of the Walt Disney World Resorts and offering world-class dining, entertainment, and luxurious accommodations in its six striking red-gabled buildings. This magnificent hotel sits along the white-sand shores of Seven Seas Lagoon. This trip includes a round-trip airfare credit, Disney Park Hopper Passes, Disney dining meal plan, transportation to and from the airport, and transportation to all Disney properties and theme parks. Maui, Hawaii – 5-day/4-night stay at the Wailea Beach Marriott Resort and Spa, which is located between two beautiful beaches with pristine white sands and endless blue water. This trip includes a round-trip airfare credit, transportation from the airport to the hotel, Lei greeting, and a helicopter tour ride. Ocho Rios, Jamaica – 5-day/4-night stay at the Beaches Boscobel, which takes advantage of its stunning seaside locale to infuse all of its accommodations with the flavor of Jamaica. This trip includes a round-trip airfare credit and access to Pirates Island Water Park. Parent magazine voted Beaches Boscobel among the Top 10 Best Beach Resorts. Celebrity Cruise – 10-day/9-night trip package, including a 7-night cruise from Seattle on the Seattle Celebrity Solstice, 3 nights at a 4-star hotel, and a Mount Rainer sightseeing trip. Princess Cruise – 10-day/9-night Alaskan cruise on the Coral Princess. This trip includes a 7-day voyage of the glaciers cruise, 1 night at Mount McKinley Princess Wilderness Lodge, 1 night at the Denali Princess Wilderness Lodge, a natural history tour, and a 1-night Fairbanks with Sternwheeler Riverboat Cruise. This cruise is perfect for witnessing all that Alaska has to offer. We had our first Challenge Group, Tuesday and it was incredible. The Challenge Group discusses the information in the 90 Day Mental Fitness Challenge by Orrin Woodward, Claude Hamilton and the whole LIFE Policy Council. We had a 14 person group that dove into the topic of “findings ones purpose” in life. The small group was exactly what was needed to have people open up and discuss a personal topic like purpose. It provided an environment for everyone to raise their level of leadership whether they were an experienced leader or someone new just starting their self education journey. I recommend everyone take the Challenge! Team Rock of Kaizen take a look at the great article Orrin posted about Claude and Lana. “Claude Hamilton’s LIFE Community Explosion” We had a fabulous time with Orrin and Laurie, Claude and Lana, and all of the team. There is nothing like having a “bow-inar” on the front of Orrin’s yacht while you’re motoring along under clear blue skies on calm waters. Ann and I are so excited about the direction of LIFE and the TEAM, one million is not far away. PDCA Cycle Post 3, Mentoring Leadership Life Coaching, Plan Do Check Adjust. Quitters, Campers and Climbers. Great article by ORRIN WOODWARD, Mentor, Leadership Guru, Coach, and Author that talks about PDCA and how to use it on your journey in LIFE. Wisdom requires that we arrange what we observe and know, and create meaning from it; it also requires that we consider what we need to unlearn as well. American essayist Norman Cousins wrote, “Wisdom consists of the anticipation of consequences.” Throughout my leadership walk I have discovered that wisdom is about the thinking through of thoughts, behaviors, and actions while at the same time, being able to see their relationships. It is seeing how things are connected. Understanding how everything is connected is a daunting task, but it shouldn’t cause indecision. We still have to function. Professors Pfeffer and Sutton suggest in their book “Hard Facts” that “we must travel through life with an attitude of wisdom. That attitude is described as the ability to act with knowledge while doubting what you know. This attitude enables people to act on what they already know while at the same time doubting what they know. It means they can do things now, as well as keep learning along the way. 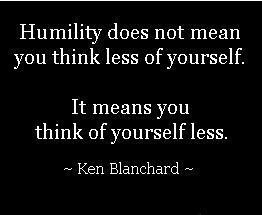 It implies a certain degree of humility to make it work. You really have to be able to get out of your own way. The best leaders never believe they “arrive” in any area, but they always strive to improve. We should never expect perfection, but we should continually expect better! The next step in the Plan, Do, Check, Adjust cycle is to find mentors in the areas of life where you aspire to b e better. I am not suggesting that you lose your uniqueness though. Many times, what attracts us to people we would like to have as mentors, is what they have done and who they are. In other words they are unique. Never be a cheap copy of a great original. However, with that warning, you will never grow to your full potential without a great mentor or mentors! If you pattern your habits and actions after people with the results you want, guess what will happen to you? You will have achieved what they have achieved. Their experience, insight, and wisdom provide guidance through the PDCA growth cycle. Mentors provide missing pieces to the puzzle you probably don’t have the experience or insight to discover on your own. 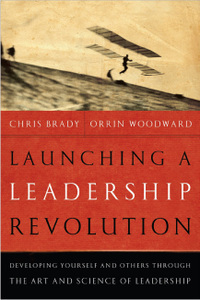 For a great Video on Mentorship check out this video by ORRIN WOODWARD, Leadership Guru, Mentor, LIFE Coach. The secret to having a great mentoring experience lies in your ability to formulate and ask great questions. Don’t go to your mentor and expect them to give you a golden nugget unless you are mining the gold in them first. Mining the gold, means, to come prepared. I see people make this mistake because they expect their mentor to “read their mind” and somehow solve all their problems. That is not mentoring, that is magic! Remember the relationship principle of “you will get the best out of others when you give the best of yourself.” This principle applies to the people you are leading, and, applies to the people you are following. You will get the best from your mentors when you give the best of yourself first. Giving your best means, coming prepared for a mentoring session. Whether it is doing what your mentor told you to do at a previous session or coming prepared with detailed questions to ask, there should never be a shortage of principles or practices to discuss and learn. One of the best ways to learn, is, to teach and do. By pouring his or her life into you through mentoring, the mentor grows as well. Think about it this way: if you stretch your mentor’s learning capacity, they will want to give you their best, and, have more mentoring sessions. This is a win-win relationship. Start your session by saying, “this is what you said, this is what I did, did I do it right, and can I ask you more questions.” Those 4 simple statements set the stage for a great PDCA learning experience. Now find a mentor and get to work. As leaders, we are all constantly challenged to learn, grow, adapt, change, encourage, and lead in whatever situation life throws our way. 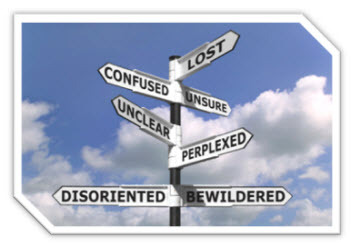 It is very hard to know if we are on the right track by feelings alone. Someone once said, “You can tell when you are on the road to success because the road is uphill the entire way.” That very statement continues to serve me well in my ongoing efforts to Plan, Do, Check, and Adjust. It helps my focus, as I strive to keep myself, and my actions, flowing in a consistent, steady direction. With the proper “checks and balances” in place, we are like a flowing river, staying between the walls, as we flow down the stream toward our purpose. Without the proper PDCA cycle, we may feel frustrated, and our “ river of purpose” may turn into the “rapids of chaos”! It is imperative for any leader, whether established, or beginning, to always do a “check up from the neck up” to insure their efforts are being maximized to their greatest potential. We all have heard the old saying, “practice makes perfect.” People, who follow proper PDCA, believe in the saying “perfect practice makes perfect.” Just because you are practicing does not mean you will perfect your skill. It just means that whatever you are practicing will become permanent. Laurie Woodward has said from stage many times that, “the lesson will continue until the lesson is learned.” Learning lessons from those negative circumstances that occur in our lives keep them from happening again. Incorporating the proper PDCA cycle into ones daily regime is crucial to taking charge of one’s life. However, just because you practice proper PDCA habits, does not exclude you from life’s curve balls. Because great leaders have made a habit of following the PDCA routine, they avoid having their feelings hurt, and instead, find solutions to problems. As Leadership Guru Orrin Woodward says, we cannot always control what happens to us, but we can control how we react. We can either pick the side of our rights and privileges, or we can pick the side of our responsibilities and obligations. Either way, the choice of being a victim or a victor is completely up to us! People that use the PDCA cycle always choose to be on the side of the victor. How do you want your life to be? Always the victim, with no control over outcomes, or, do you choose to be the victor, in control, responsible for the outcomes? 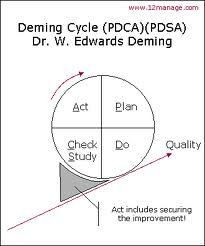 So, how do you develop and establish effective PDCA habits? First, you have to provide an answer to one very important question: What is your purpose in life? Once you answer that honestly, you can move forward. As the famous saying goes, “If you aim at nothing, you will hit it every time.” If you really want to accomplish the purpose for your life, you must realize change and growth will be necessary. Max DePree, leadership expert, said, “You can’t become what you need to be by remaining what you are.” Many think change is an insult to their individualism, instead of a catalyst to their potential. If you want to accomplish something you have never accomplished before, you are going to have to do and learn things you have never done or learned before. It really is that simple, but admittedly not that easy. It requires constant evaluation!